MT. PLEASANT, SC (WCSC) - Construction has started on a pedestrian bridge that will connect both sides of Shem Creek. It’s the third and final phase of the Shem Creek Park improvements. The bridge will connect the Coleman Boulevard sidewalk near Tavern and Table to the boardwalk near Mount Pleasant Seafood on the other side of the creek. It’ll be completely separated from traffic. There will be a viewing deck overlooking the creek, a covered section, and even a tree planted to provide some shade. It's costing the town more than $3 million and is expected to be completed in August. 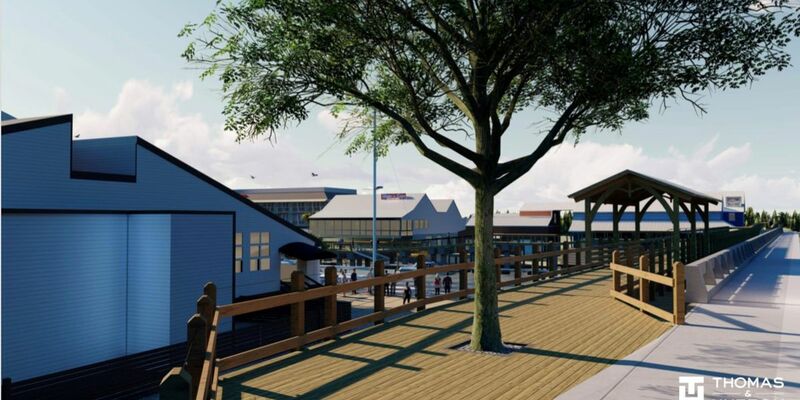 It's all part of the decade-long project to make enhancements to Shem Creek. Phase one was completed in 2011. It created the boardwalk that stretches all the way out to the harbor. Phase two is why there are commercial and public docks that stretch from Water’s Edge to Vickery’s, and that was finished in 2016. Town officials say it was all done to increase public access to the water.